Two For The Show Media (for print and internet) plus Scholz Productions for radio... Sweetwater in coordination w/ Tama Drums, Shure Microphones, Zildjian Cymbals & Remo Drumheads have produced a 20-minute documentary on the making of this album. Expecting lots of social media exposure and hits, music industry support, etc. 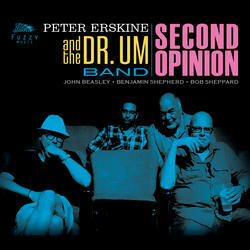 Following the success of Peter Erskine's "Dr. Um and the Lost Pages," Peter and his Dr. Um Band are ready to offer a Second Opinion. With a slew of new compositions plus some tasty standards from Henry Mancini and Victor Young, "Second Opinion" reaches new heights for fun, funk, swing and interactive blowing ... all in Hi-Fi sound! Peter says that this is his "favorite album yet." 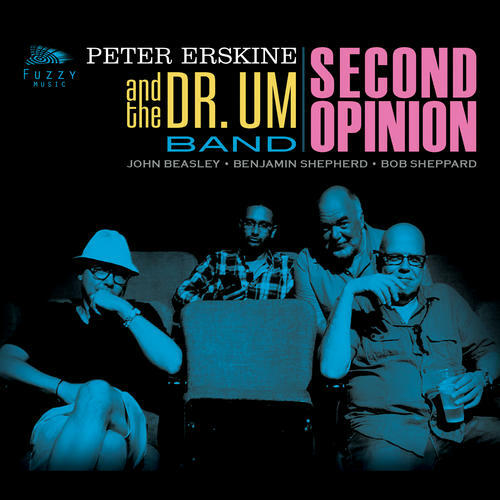 Building upon terrific media coverage and reviews for "Dr. Um," Second Opinion will easily find its audience of Erskine fans, Beasley fans, Bob Sheppard fans, and soon-to-be Benjamin Shepherd (bassist) fans. [7:07] Did It Have To Be You?